It’s time to Be the Light! You learned to Dance in the Light, now take it to the next level and Be the Light! You are working with your psychic gifts and you’re ready to take it to the next level. You are working with your guides and angels on a regular basis. You are ready to create your own sacred tools. You are ready to create your own ceremonies. You are an energetic light worker/healer. Are you ready to share your gifts with the world? Women’s Retreat: Dance in the Light 2.0 – Be the Light! Fee: $688.00, food and lodging are additional. Dance in the Light 2.0 – Be the Light is for those of you who have been working with your gifts. You are magical, mystical, empathic, intuitive, connected to spirit world and other realms. You know it is time to share your gifts and you are wondering how to do that. You want to work with the powers you have – to be proud of this work. You know the world needs your gifts and healing powers and you are ready to share. People need light workers and they are ready, willing and able to step into their healing and enlightenment. They are seeking healers and teachers. Are you the one they seek? In the words of Starhawk, “Magic is the practice of constantly working on deepening awareness of the world around you.” Using your magical, intuitive gifts is deepening your work with spirit world. It is empowering yourself to heal, to journey to other worlds, to embrace all that you are. As you evolve you are tuning all your senses to experience at a deeper level, completely attuned to the world around you. Please join BakeR and Mamacita for the next step on your sacred journey to embracing your powerful and magnificent true self. All this and much more in a safe, loving group of women! BakeR Gendron is a fun and inspirational spiritual leader and coach. She has empowered groups and individuals to realize their full potential by stepping through known and unknown barriers. By utilizing spiritual principles she enables you to mold all facets of your life bringing the mind+body+soul connection that you are seeking. With BakeR’s passion for the outdoors and her love of nature, she developed an idea for bringing people to the magnificent red rocks of Sedona for deep introspective and shamanic work. 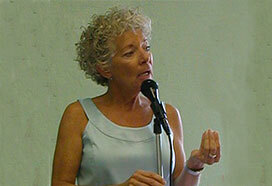 BakeR leads women’s retreats for anyone who desires to integrate all areas of their life. She is an intuitive, channeling Mamacita a wise Peruvian Spirit Guide, a Medium, Clairaudient & Clairsentient light worker, Spiritual Life Coach and Reiki Crystal Healing practitioner. BakeR studied with Peruvian Shamans, Maestro Banco Ayahuasquero – Don Rober Acho Jarama and Maestro Huachumero – Don Howard Lawler, in the Peruvian Amazon and Andes Mountains. BakeR is past vice president of the Sedona Metaphysical and Spiritual Association and adheres to their professional ethics and practices. She is a 2012 graduate of the Red Rock Ranger District’s Outfitter/Guide Training, is a Master Prosperity Teacher, graduate of the SAAR Leadership Program, a Firewalker and is First Aid/CPR trained. As a Religious Science Practitioner for over thirteen years she taught many spiritual classes including Self Mastery, Principles of Financial Freedom, Roots of Science of Mind, Spiritual Principles, Science of Mind Foundational and Mysticism. Her work is based on Religious Science Principles with a Shamanic twist. BakeR’s vision is to empower others to find their Inner Truth, to claim that voice and live a full, rich, joyous life! Another awesome retreat, I came to bend spoons and did SOOOO much more. I really feel I stepped into my power with this retreat. Thanks, BakeR, loved it!!! Dance in the Light 2.0 was above & beyond anything I could have imagined. Lots of love and healing all around. We had three guest speakers, we were bending spoons, dousing, making healing wands, singing bowls. Loved it! When is Dance in the Light 3.0? Even more amazing than the first class! I bent spoons, turned out lights energetically and shape shifted. How much more fun can it get? Thank you, BakeR. 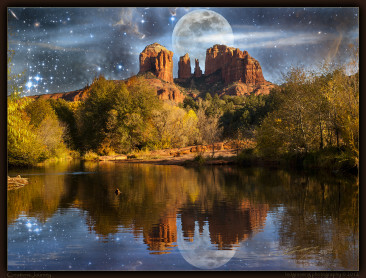 The healing energy of Sedona, the company of like minded women, the inspired and inspiring leadership of BakeR Gendron – a fantastic opportunity for personal growth. Thank you, BakeR! This is my third time and I am always amazed at the beauty and enlightenment that I leave with. Bigger and better healing woman that I am. Thank you, thank you, thank you, and so it is. Aho. 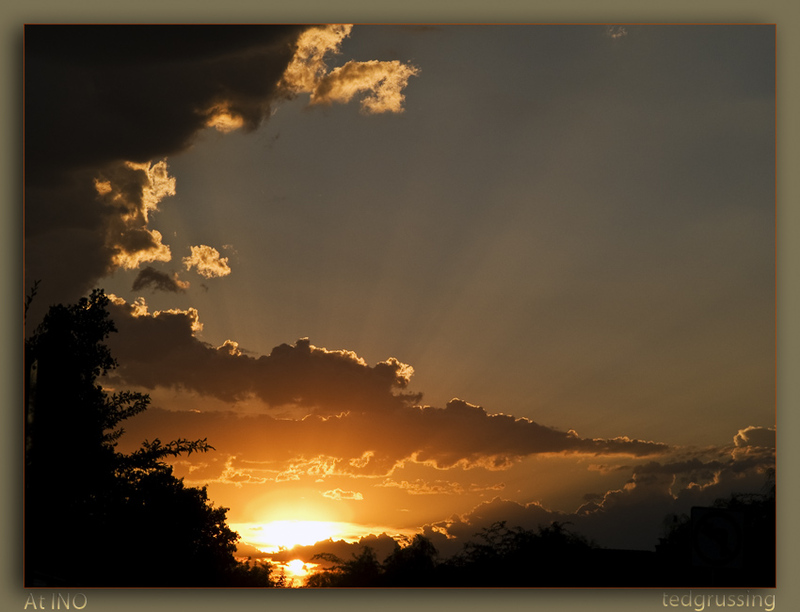 In case you missed it, here’s a blog article on: “How do I know that I’m hearing my spirit guides? What Dates are the Retreat? OR you are an energy worker, light worker, healer, intuitive, psychic who is ready to go to the next level. If you have not completed Dance in the Light 1.0 please call me to discuss if you meet the criteria at 602.999.2493. 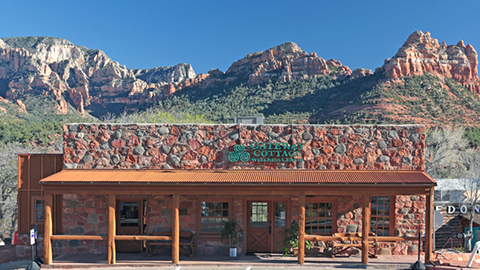 Your retreat days will be spent at the beautiful and serene Gateway Cottage Wellness Center, conveniently located on the edge of Uptown Sedona, with the Best Western Plus and La Vista Motel within a block’s walking distance. Gateway Cottage Wellness Center is a soothing and safe haven to explore and step into your full potential. Their Sedona red rock building has been completely renovated with up-to-date modern facilities, fully ADA compliant, while maintaining the integrity of the building’s historical status. Click here for Sedona accommodations information. If you are a psychic, healer, energy worker, etc. you may be able to deduct the costs of the retreat, please contact your accountant for verification. Details will be sent regarding travel, what to bring and more about what to expect after you register. The retreat is limited and sold out very quickly the last time, please make your reservation early. All fees must be paid in full by October 26, 2016 no exceptions.